AC acselfie Android Coliseum SpartAndroid t-shirt T-Shirts SpartAndroid our summer t-shirts are AVAILABLE!! SpartAndroid our summer t-shirts are AVAILABLE!! That's right folks! 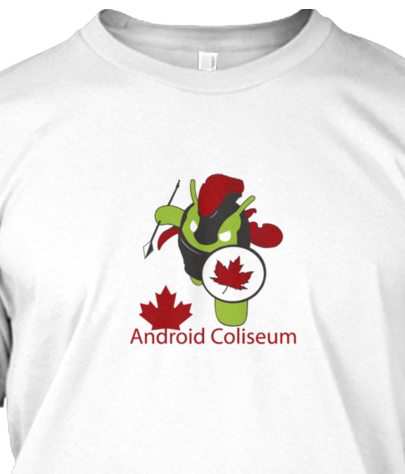 We have our summer T-Shirt campaign going on and it's SpartAndroid with Android Coliseum! If you missed your chance the last time to get yourself one of our t-shirts, then I think it's time you made the leap! All the proceeds go towards giveaway for you guys! It's important to note that all prices are in US dollars. Base price without shipping is 21$ for the shirt.